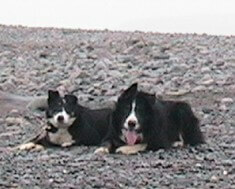 Double “R” Scottie was many things to many people: “Best friend and companion” to Roy Robinson, “leader of the pack” to hundreds of Border collie pups and the “Ancestral Grandfather” for numerous grown Border collies residing all over Canada and the United States. 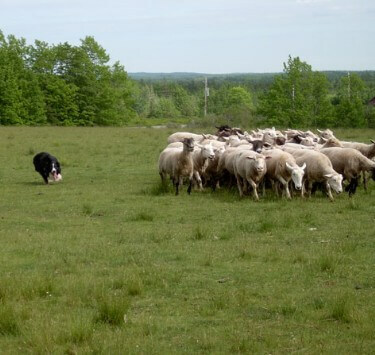 He was loved by Roy, admired by hundreds of Double “R” Border collies, and respected by abundant ducks, sheep and many other “needed to be herded” animals. Scottie was born October 16th, 1996, son of “Red” and “Kim”, and descendant of “Imp Moss” of Scotland. 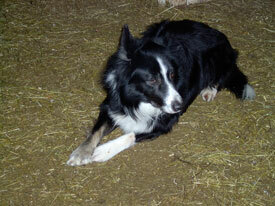 He joined Roy and became the “Canine” Founder of Double “R” Border Collies of Victoria Vale, Nova Scotia. 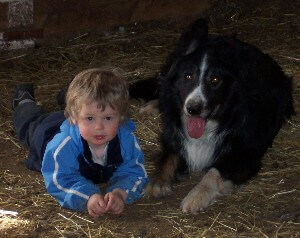 Scottie was Roy’s first Border Collie, and the first dog he actually trained. “He was a fast learner, and very forgiving” says Roy. He adds “I made many mistakes when training him, I was learning as well”. But between Scottie and Roy they always figured things out. 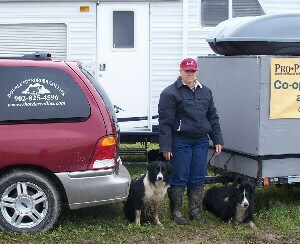 After hours of training on the farm with Roy, Scottie began trialing in 1998 at various venues around the Maritimes. He quickly graduated to New England Trials the following year, and competed in the states for a couple of years. 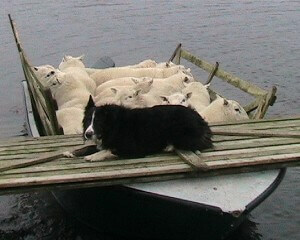 Throughout the next 9 years Scottie stole the lime light at frequent Herding Demonstrations around Atlantic Canada. At work and at play, Scottie led a full life. He sired hundreds of puppies, many that became great performance dogs and herding dogs. 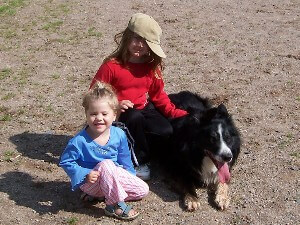 One grandson, Bud, even went as far as Idaho, in the U.S. Roy continues to enjoy raising Border collie pups that represent Scottie’s ancestry, five generations after Scottie. Scottie passed away peacefully on November 24, 2010. Scottie’s Tribute was written from Roy’s notes and memories by the owners of Double “R” Rose, Scotties granddaughter, owned by Nancy & Bruce Gurnham of Parkers Cove , Nova Scotia . Scottie is missed very much by Roy and the crew. 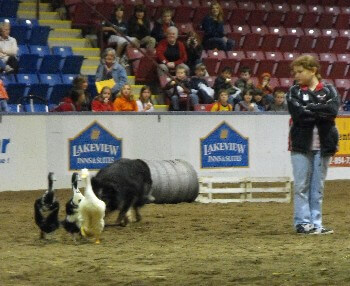 Scottie loved everything including Kids, herding Sheep onto Boats, Cats, herding ducks, and helping set up the course.